NNG cares, and this is what makes us a better community. We are committed to upholding the belief that there is a better way to do business, and this is reflected in how we work and who we work with. 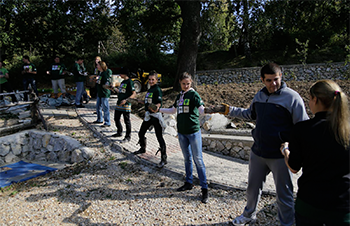 Our corporate social responsibility covers four major areas: support those who are less privileged, make people’s everyday lives safer, promote environmental awareness, and cultivate the talent of future generations. 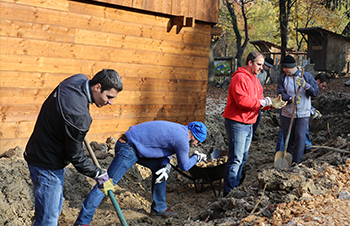 Our colleagues cooperate with several NGOs through a number of jointly-organized volunteer and charity programs. The goal is to support underprivileged and underserved communities. Food drives, clothing donations, and community outreach are among the many ways that we do our part. We are also proud to announce that, NNG’s employees have donated enough blood to save more than 10,000 people’s life. Our company mission is to make people’s everyday lives better, safer, and more convenient – no matter where in the world. To bolster this mission, we donated 102 GPS devices featuring iGO Navigation to the Hungarian national ambulance service (Országos Mentőszolgálat). We always seek new opportunities to cooperate with organizations that are founded on the principal of helping others. As a navigation software company, we take particular pride in supplying safe guidance measures for those who do their work out on the road. We place a special focus on our environment by supporting a company-wide recycling system, implementing energy-efficient appliances and systems, and promoting the reuse of printed paper. 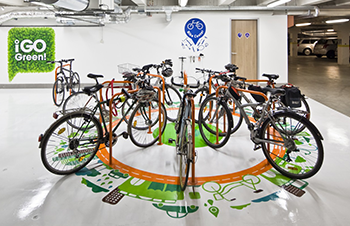 We are also proud of our safe, creatively designed, and well-equipped bicycle sheds that encourage our colleagues to choose a more environmentally friendly and healthier way of commuting. We are fully committed to educating the next generation of programmers. We especially encourage young women to consider programming as a career with the aim of bridging the gender gap in the tech industry. 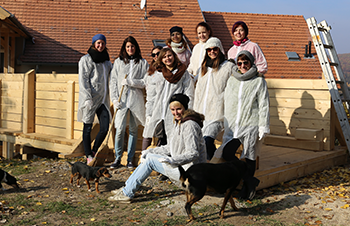 In 2015, through the Skool program and the Foundation for Technology Education, NNG invited nearly 100 teenagers between the ages of 10 and 18 to our Budapest headquarters. The young women were mentored by our colleagues and got acquainted with the world of information technology and the fundamentals of programming. Additionally, we regularly organize educational visits to our offices for a range of Hungarian and foreign school groups. During these visits NNG professionals help our guests get a clear and realistic introduction of programming and development.